After making Single Water Lily I realized that I wanted to make an even closer view of the water lily. 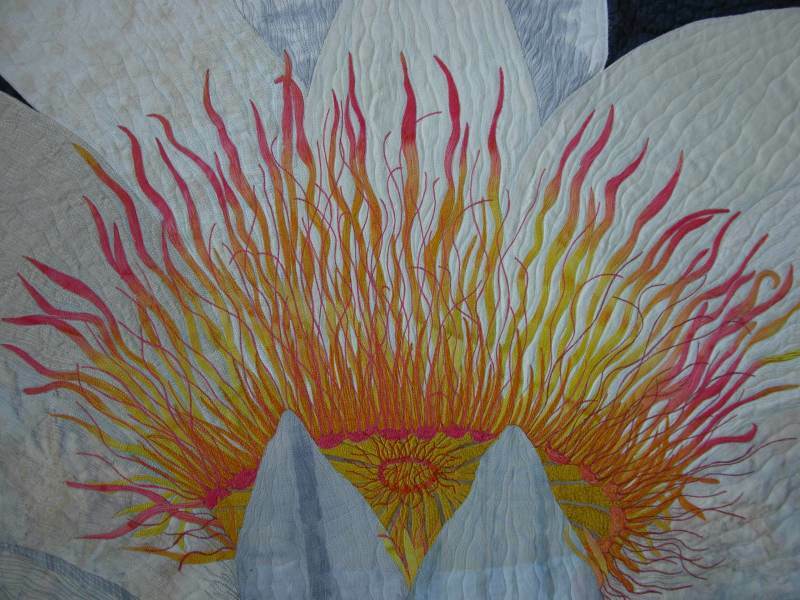 In this quilt, I've focused on the center of the flower. 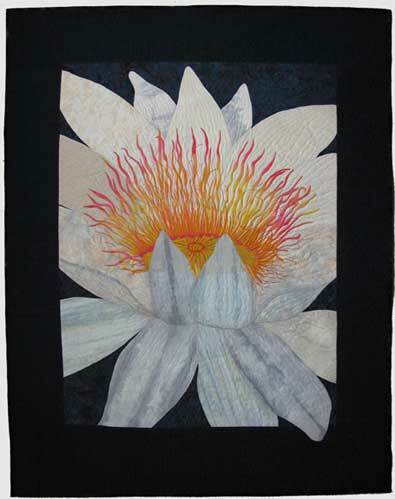 This heavily machine embroidered flower is made of fused white, gray, blue and beige fabrics with cream stitching. The center was made from a hand painted fabric of yellow, gold, orange and peach. 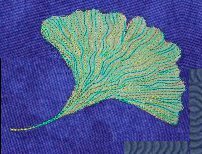 The tendrils were embroidered with rayon thread. The wispy gold strands are layers of thread, stitched over the finished quilt. The border is a navy and blue stripe. The quilting is done in a circular pattern in the water areas. The edge quilted in a clamshell design.